(Gray TV) - “Mean Gene” Okerlund, whose on-air interviews with Hulk Hogan, Randy “Macho Man” Savage and others were an essential part of pro wrestling’s ’80s heyday, has died at the age of 76. Okerlund, through his work in the WWF/E, WCW and other wrestling organizations, became one of the industry’s most recognizable faces. Though rarely an in-ring performer, his charm, wit and ability to maximize others' talents on the microphone helped him maintain a presence through five decades in the business. WWE called him “the most recognizable interviewer in sports-entertainment history” in its statement. Arguably, Okerlund’s most famous moments came with Hogan. He was often the one holding the mic for interviews that helped the leader of the “Hulkamaniacs” become one of the most recognizable people in the world. Hogan’s standard opening line of “Let me tell you something, brother!” was rarely deviated from, and usually only to “Let me tell you something, Mean Gene!” with Okerlund beside him. WWE said ’Mean Gene," nicknamed by fellow Minnesotan Jesse “The Body” Ventura, became known for his work in regional wrestling promotion AWA, interviewing stars like Bobby “The Brain” Heenan, Andre the Giant, Ventura and Hogan. 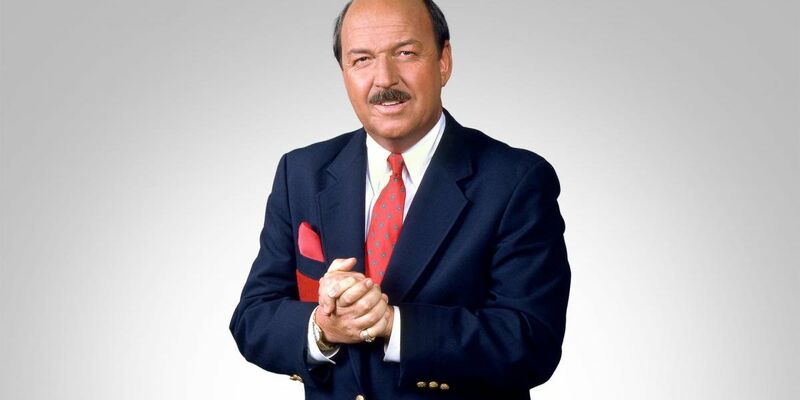 Okerlund first worked for then-WWF from 1984 through 1993. In the ’90s, he jumped ship along with names like Hogan, Savage and “Ravishing” Rick Rude in a mass exodus to the other major wrestling brand, Ted Turner’s WCW. But he returned to the place that made him famous in 2001 and became a regular guest star on WWE programming, in addition to multiple special projects. His last appearance came on the 25th anniversary of “Monday Night Raw” in January 2018. Wrestlers from the past and present expressed their condolences on social media.